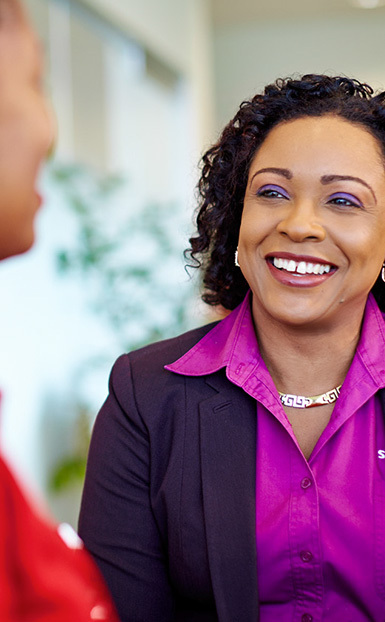 Thousands of talented employees around the world are the driving force behind Scotiabank’s success. Our ability to build a better, more prosperous future depends on our employees. We work to create a workplace in which employees are empowered and engaged, and where diversity and inclusion and fair labour practices are the norm. As the Chair of the Scotiabank Alliance for Mental Health (SAMH), Karen Jordan is helping to deliver the message that mental health issues can impact us all — either directly or through a family member, friend or colleague. She’s also working to reduce the stigma around getting help, and making sure everyone at Scotiabank (and beyond) knows that help is available.